Instagram is full of people and when I say people, I mean all types of artistic, intelligent, friendly, funny and sometimes even “negative” people. But the best thing about all these people is that they are unique in their own way. So if you know the right persons to follow then you'll never get bored again. But finding the right Instagram accounts to follow among the millions of account out there is not easy, that's why we have brought you a list of 9 Unique Instagrammers you should give a look. 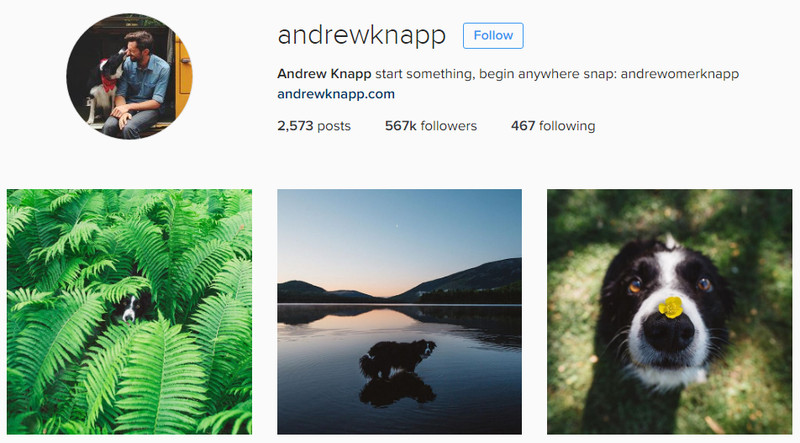 Starting with a unique idea, Andrew Knapp is an interface designer and photographer from Northern Ontario in Canada. But we have not listed him for his designing skills. Instead, he has gotten this place for his creative #findMomo. Basically, Momo is Andrew's dog friend and he uploads photos of him. But this is not it, Andrew usage his designing skills in each photo and makes sure he makes it hard for you to find him. So if you like simple riddles while seeing amazing photos, then this account is just for you. 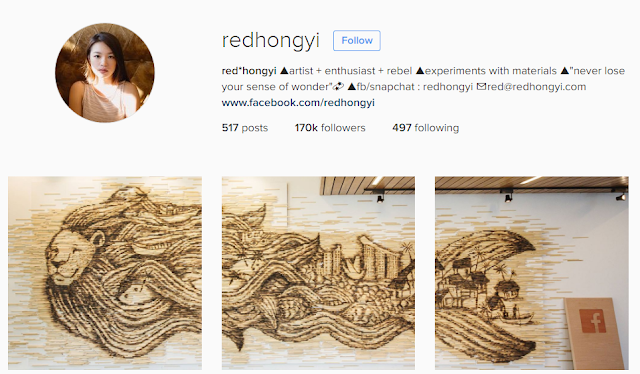 Going back to a more traditional approach, Hong Yi is known for her art pieces. She is a famous blogger and her work has been admired all over the world. But don't think it makes her Instagram account any less fun. 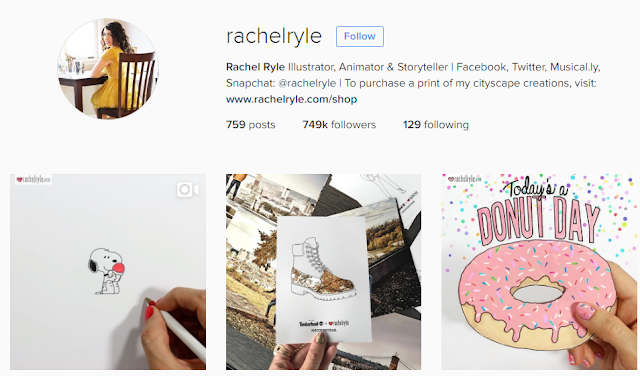 She as active on Instagram as on her blog, and you are bound to catch some great art pieces if you follow her. And his way of looking at the life (got the joke there?) is admired and followed by a big number of people. So if you are looking for something different on Instagram, do give him a visit. Sometimes I see all these animals who are so damn famous online in comparison of my insta account with 20 followers and then I really wonder what the hell is wrong with God. But then I remember that thanks to god my parents only know about my neighbour classmate who somehow always gets better grades than me (imagine the burn) and not these animals. Anyway, Norm the pug is a big Instagram star and seeing his photos I can say he knows it. So he is worth giving a look. Who doesn't like food? And who doesn't like some great daily life art? Mixing it both, Idafrosk brings some great and unique food portraits which left you wondering where to eat them or adore them. You see the little bear there? He is the reason I skipped one of my breakfasts. Anyway, do give it a look. 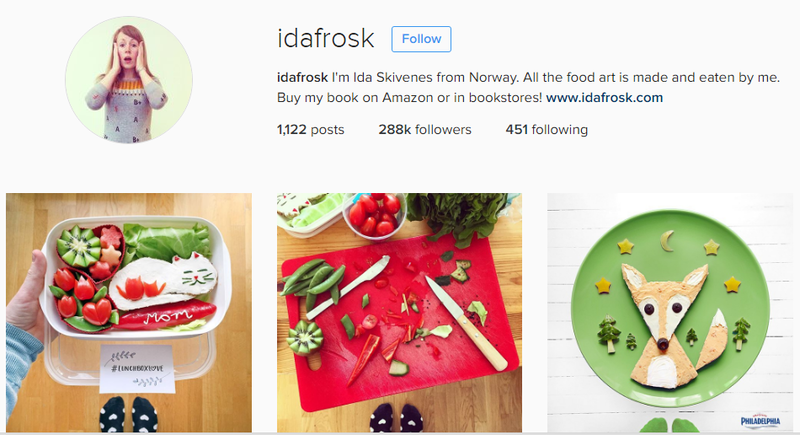 You can be forgiven to think that Instagram is only about photos. No, it also offers you to upload small videos up to 15 seconds. And Racher Ryle has really mastered this art. She posts short stop motion videos featuring his simple but cute drawings. Each one of the drawings is amazing enough to keep you wondering how much she must have practiced for all this. We all have seen those hilarious Photoshop fails which create epic, funny or otherwise awkward moments for their editors. 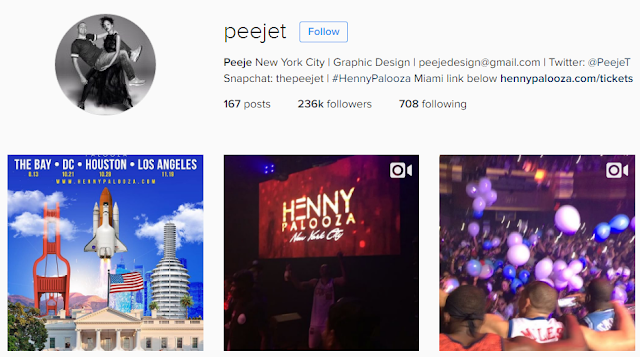 But there are few who have really mastered this art and Peejet is one of them. He usage his amazing Photoshop skills and sense of humour to Photoshop himself in famous celebrity pics. And I bet you won't be able to stop laughing after seeing some of his expressions in his edits. 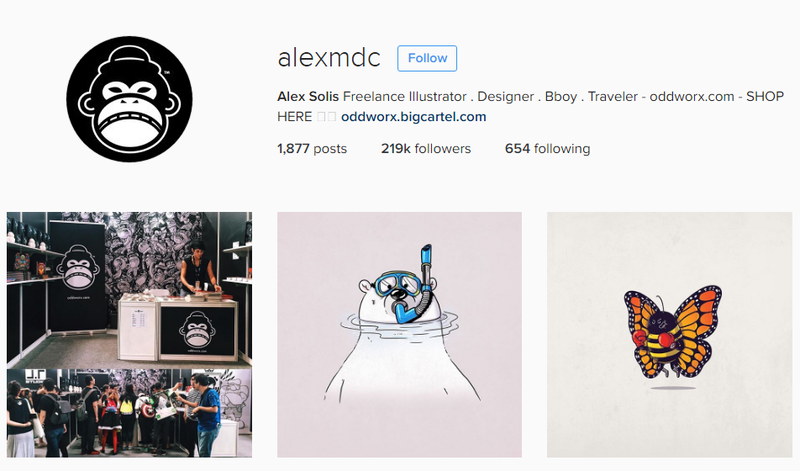 Alexmdc is another one of Instagram born artists and he has no lack of support from other Instagram users. He uses small daily-to-use products and turn them into amazing doodles. His creativity shows through each one of these doodles. For example, you see that Pan drive? You just cannot scroll down without admiring that picture. 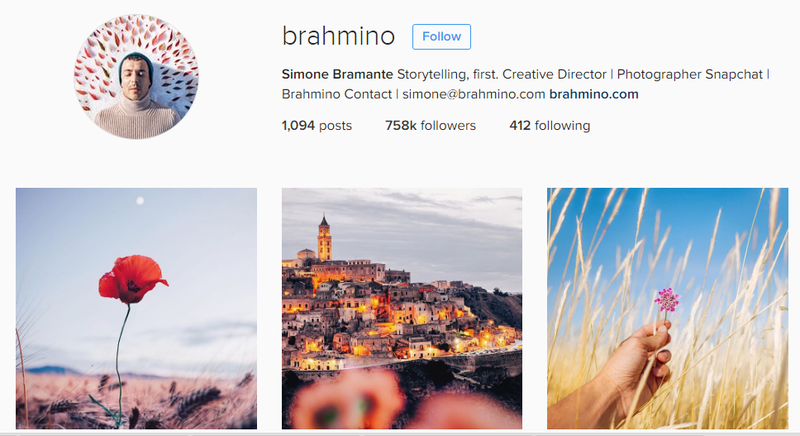 Brahmino deals with one such amazing thing- the Sky (YES!) and turns it into his canvas for creating some of the most beautiful pictures I found in an of Instagram. So when the next time you feel like everything is dull around you then go and check these masterpieces. 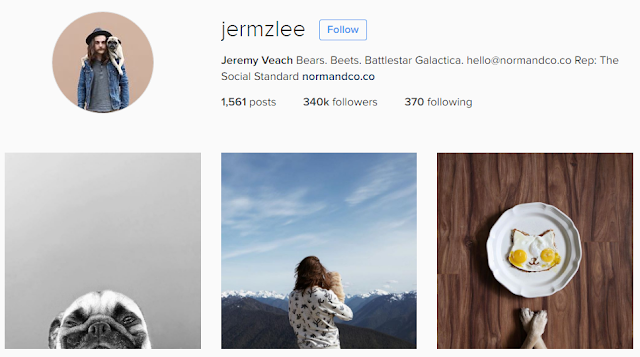 Do give these unique Instagram accounts a visit and let us know your experience. 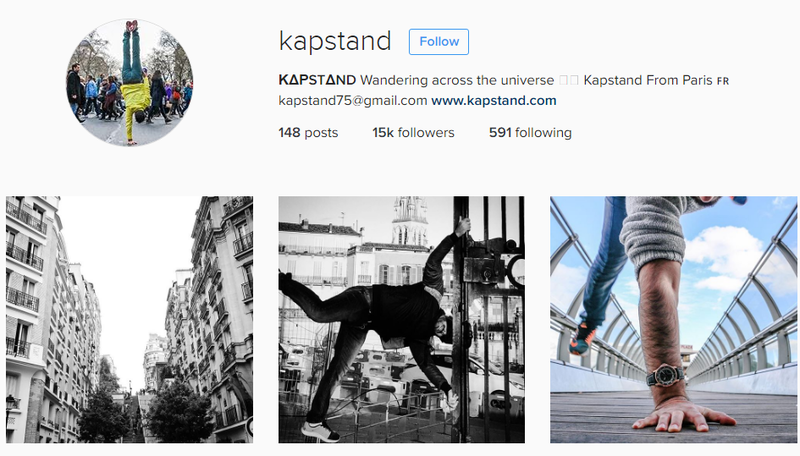 Also, tell us if you know any famous Instagram user who needs to be in the list in the comment section.